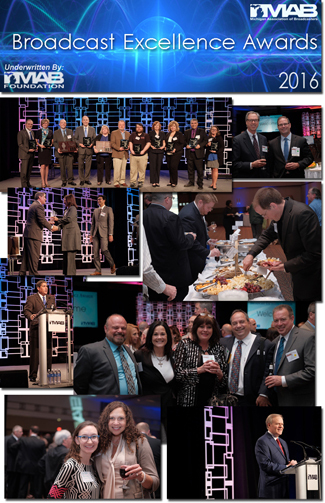 Gather your Broadcast Excellence Award Entries and Join the Party! The Broadcast Excellence Awards Reception is one of the biggest and brightest parties of the year and you won’t want to miss it! Gather your station’s best work and join colleagues and industry friends on Wednesday, March 8, 2017 as we celebrate YOU and your station’s hard work over the past year. Don’t wait to begin entering your submissions for the 2016 Broadcast Excellence Awards (BEA) program. Get a jump start on the busy holiday season. The deadline for the 2016 BEAs is 12:00 p.m. (noon) on Friday, January 13, 2017. The 2016 BEA rules and category information can be found here. Be sure to review your station’s account information. If you need assistance with your password, resetting your password, or changing the Contestant Manager for your station, please contact Alisha Clack at [email protected] or via phone at 517-484-7444. For questions, contact Alisha Clack at 517-484-7444 or email us at [email protected]. **IMPORTANT NOTE: If you created an account at www.betterbnc.com in the past two years, please log in using the same account information, if you are creating a new account, please follow the instructions that are listed in your reference guide or online at www.broadcastexcellenceawards.com.